Gand & Bernardel were the largest and most prestigious Parisian workshop of the late 19th century. 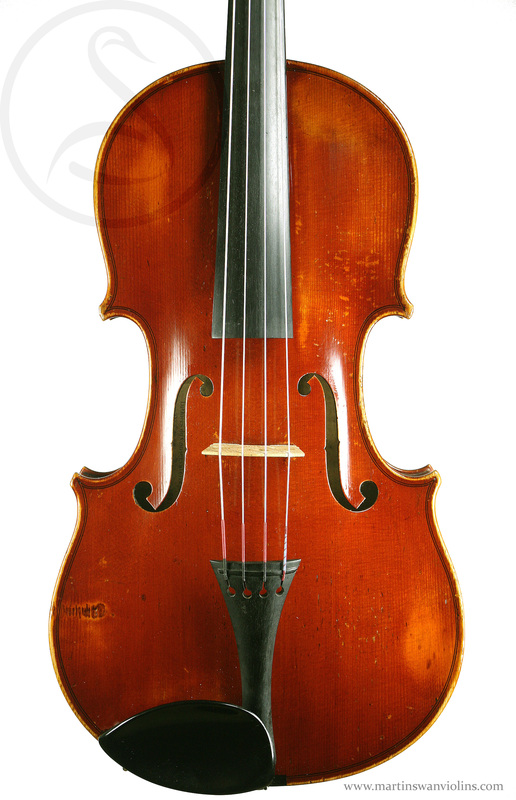 To a great extent they took on the mantle of JB Vuillaume, adopting similar working practices, employing excellent makers and also producing beautiful bows. The Gand & Bernardel lineage goes back to Nicolas Lupot – Charles Nicolas Gand apprenticed with Lupot before establishing his own business. 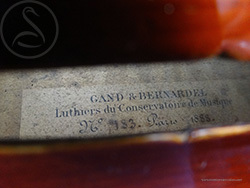 Gand & Bernardel instruments are very characteristic – finely worked in the high Parisian style, generally with cherry-red or deep red varnish. 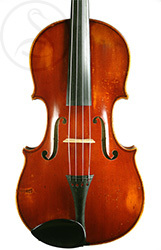 This viola is a typical example, very elegant, quite striking in appearance, and just too French for words. The f-holes are super-sharp, the inking on the scroll bold and sculptural, and the edges sharp and crisp. The condition is excellent – there’s a neatly repaired wing crack to the right f-hole and there are a few scuffs and chips that have been nicely retouched, otherwise no issues. 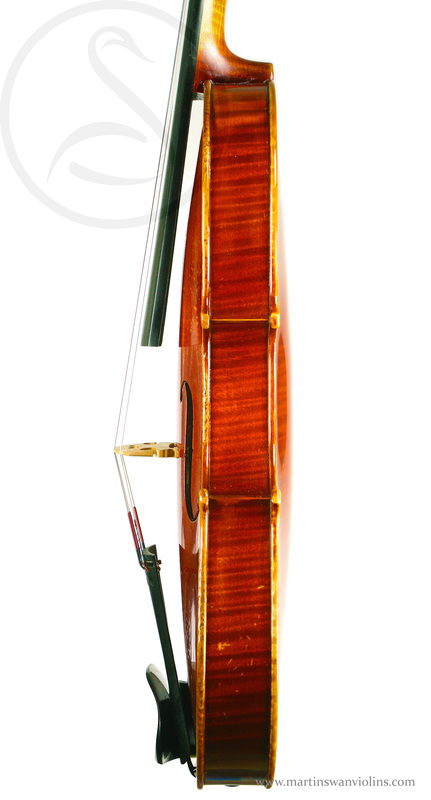 I’ve never been too impressed with Gand & Bernardel violins – they look exquisite but tend to be heavy and inflexible – but their larger instruments are a different story. 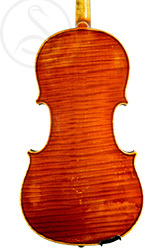 This instrument has real character – very mellow, broad and expansive in tone, with excellent response. 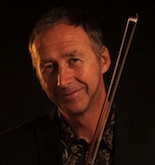 There’s a very attractive “sticky” quality to the strings, a touch of grit, and bags of sustain – all of which contributes to a refined, lyrical and romantic sound. 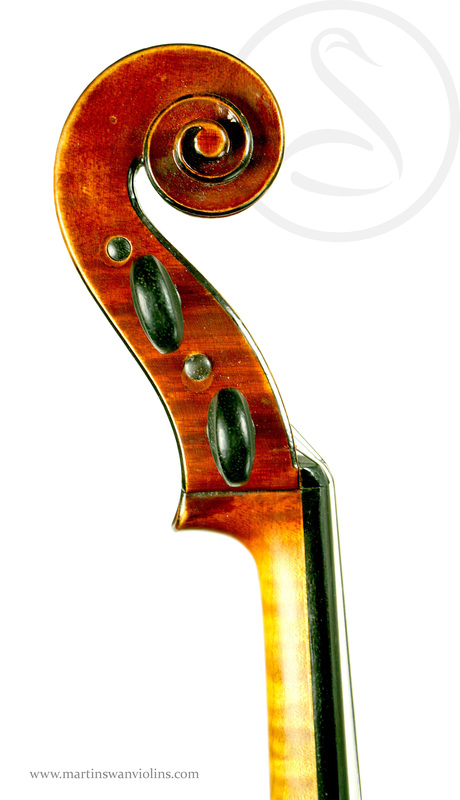 This would be a great instrument for a section player – perhaps someone looking for a distinctive voice which can still blend in. Interested in this Gand & Bernardel Viola?